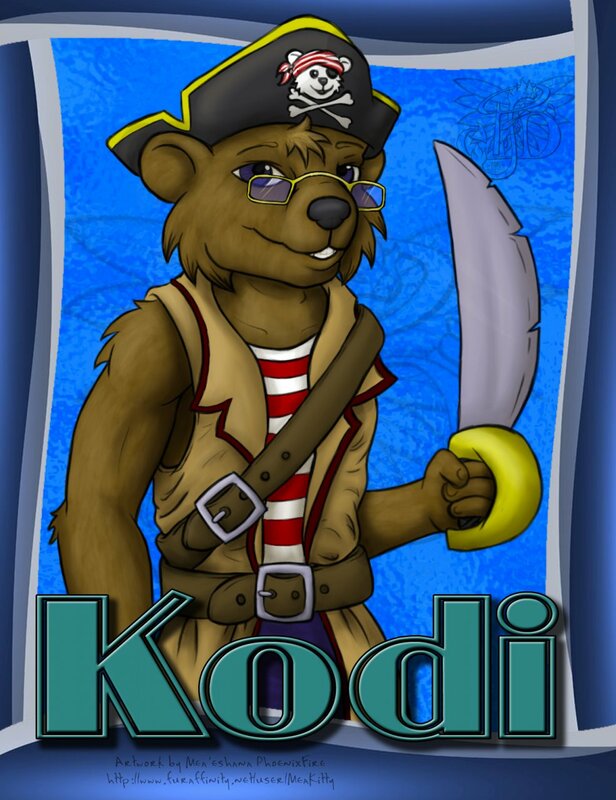 So @thekodiack saw my plea for food funds on twitter and bought a badge from me. He wanted something "friendly and Toony" and we came to the theme of Pirates because of an upcoming con he's going to attend. I think this turned out alright, not quite what I was originally going for, but it came together in the end. Thanks for commissioning me Kodi (he doesn't have an FA account yet... but I'm sure he'll be dragged into it soon enough). Character © @thekodiack on twitter, image © meaeshana, Sept 22nd 2013. Don't forget to check my [other account] for my [/user/conbadgeexchange] badges for more examples. Badges are $30 each, created digitally so you get them fast and in the best quality for printing. If you're interested just follow the commission instructions at the bottom of my [latest journal].